This 100 Club Draw for January was held last Saturday in Murphy’s Bar, the lucky winners were – 1st Prize £250.00 No. 43 Mark Fitzsimons, 2nd Prize £150.00 No. 82 Ian Kearney & 3rd Prize £100.00 No. 63 Thomas Leckey. We would like to take this opportunity to thank all those who support this fundraiser. The draw for February will be held on Saturday 24th after the senior team’s games. 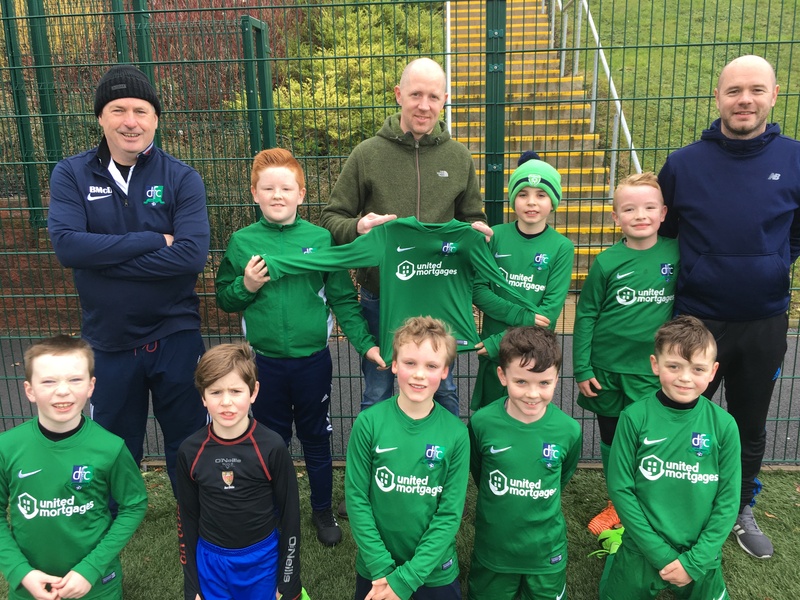 We would also like to thank Stephen McCarry from United Mortgages who has kindly sponsored a new set of jerseys for our mini soccer teams. 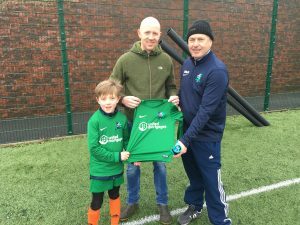 Stephen is a local business owner who is keen to give something back to the local Community, if anyone is interested in a mortgage please visit http://unitedmortgagesni.co.uk Pitctured is Stephen and his son Oscar handing over a jersey to Mini Soccer coach Barry McDowell. The first team will be looking to get back to winning ways on Saturday when they play Derriaghy in the league, this match has a 2.00pm kick off. The seconds welcome Mourne Rovers to Dunleath on Saturday afternoon in the Harry Clarke Cup, this match also kicks off at 1.30pm. The under 18’s are in action on Friday night, they play Carryduff Colts in the second round of the cup at Hanwood with kick off at 8.10pm. The under 16’s are in league action on Saturday morning when they play Ballymoney United at Ballymacoss, this match kicks off at 11.15am. The under 14’s also are in action on Saturday morning in the quarter-final of the Cup where they play Warrenpoint Town, this game kicks off at 9.30am in Havelock Park Banbridge. 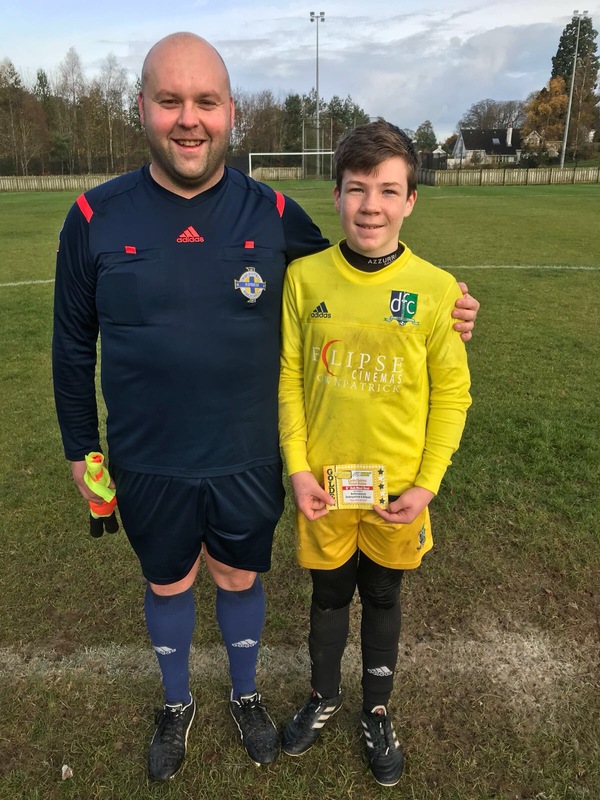 Pictured is Chris McElroy with his Man of the Match voucher sponsored by Subway Downpatrick from the match referee. The under 13’s have a free week this week. 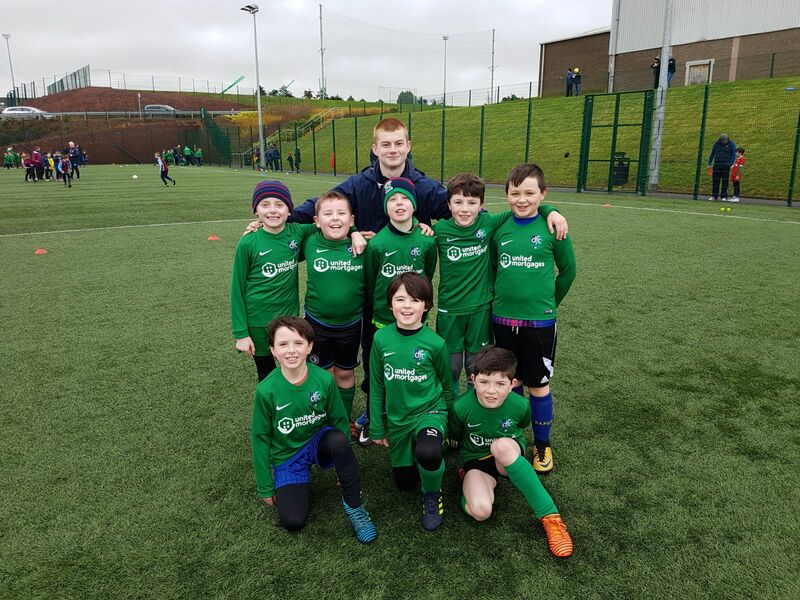 The 2006’s 9-a-side team are in action on Saturday morning, they play Ballynahinch Olympic at 9.30am and Tollymore at 10.00am, both games are in Dunleath. 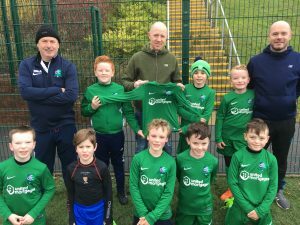 The 2007’s 9-a-side team play Loughgall Colts at the Lisburn Rec pitches on Saturday morning, this match kicks off at 11.00am. The small sided games development centre in the Red High on a Sunday Morning is for our under 8’s and under 10’s. The coaches will be in touch about who is playing and at what hour. 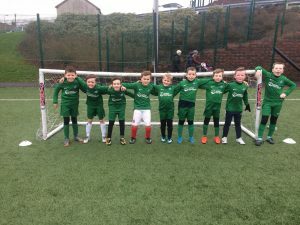 Training times for the different age groups are as follows: 2010, 2009 & 2008 are training from 6.00pm – 7.00pm and those born in 2006 & 2007 are training from 7.00pm – 8.00pm, they need to wear shin guards and football boots, bring a bottle of water and dress according to the weather conditions. Parents are asked to complete the registration forms as soon as possible and return them to Paul Moore or Tony McShane. 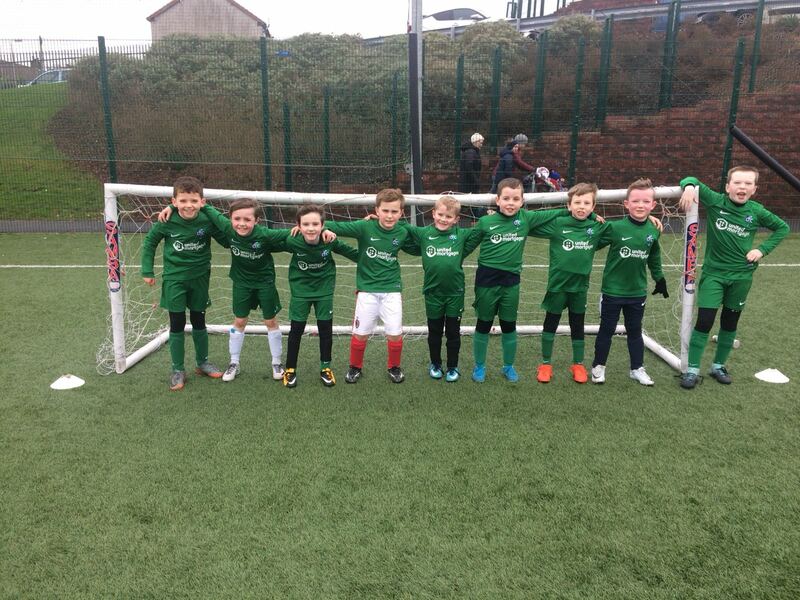 Training for children born in 2013, 2012 and 2011 returns on Monday 8thJanuary in the Red High from 6.00pm – 7.00pm. The children born in 2011 will be outside this year and those born in 2012 & 2013 will be indoors. Any questions please contact our Youth Development Officer Paul Moore on 07549 661772.